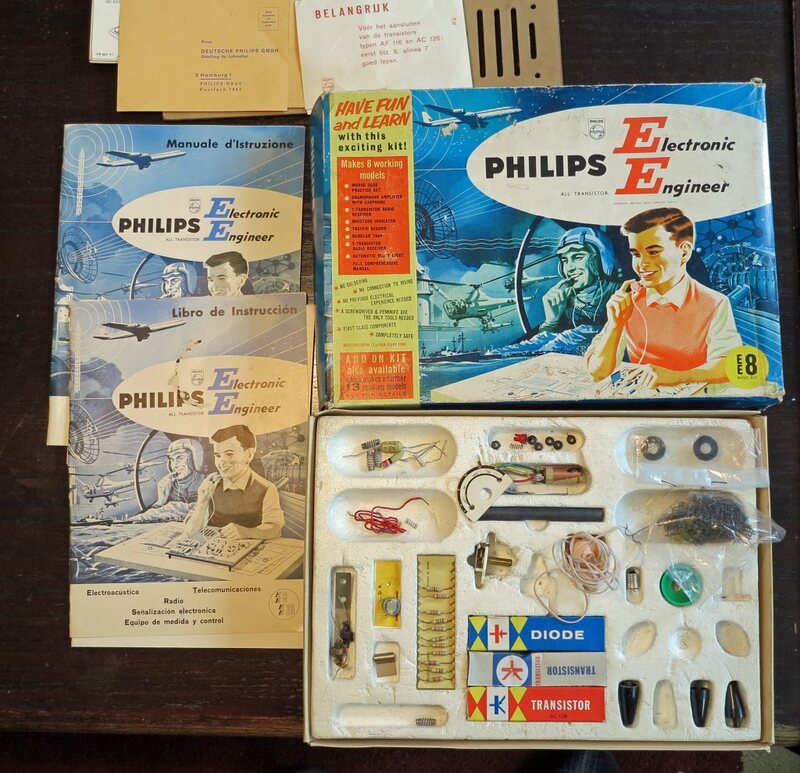 The EE3xxx series is the last Electronic Engineer kit only published by Philips. 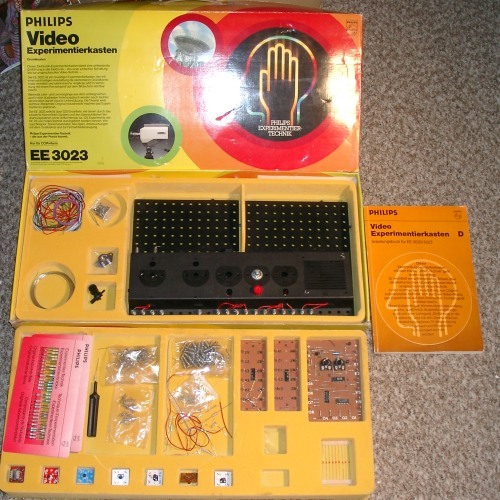 After this series the name changed to ABC and the products were licensed to Schuco. 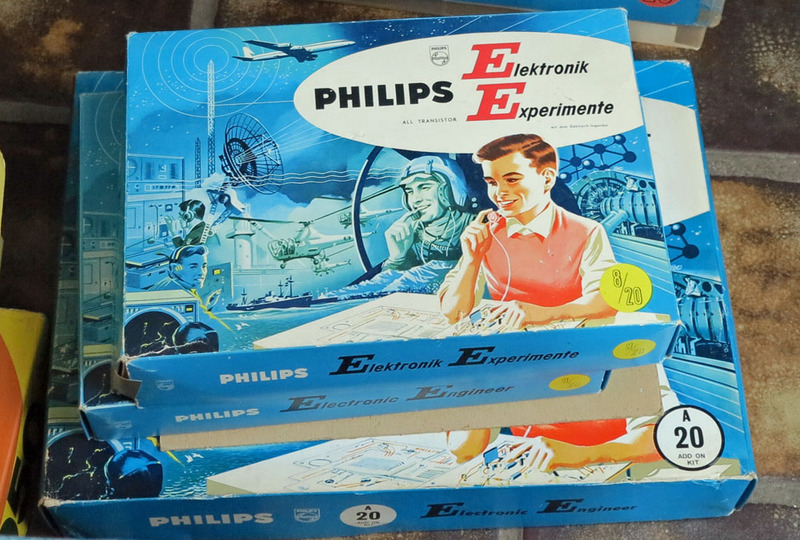 What makes this box interesting is that it allows to use a normal television for the oscilloscope projects in the EE1007/EE2007/6105 that required a oscilloscope tube. 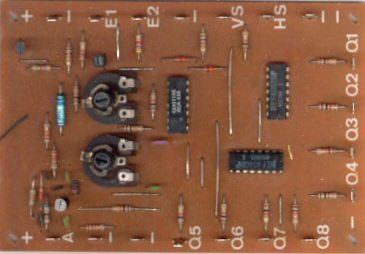 It has therefore a video signal generator, quite simple with some cmos IC’s, on a special PCB. 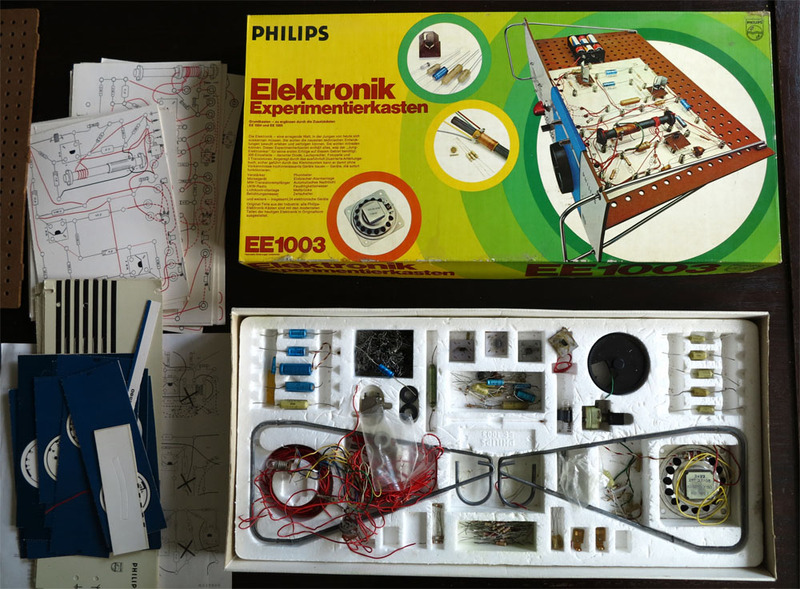 See the circuit diagram on the right, quite simple! 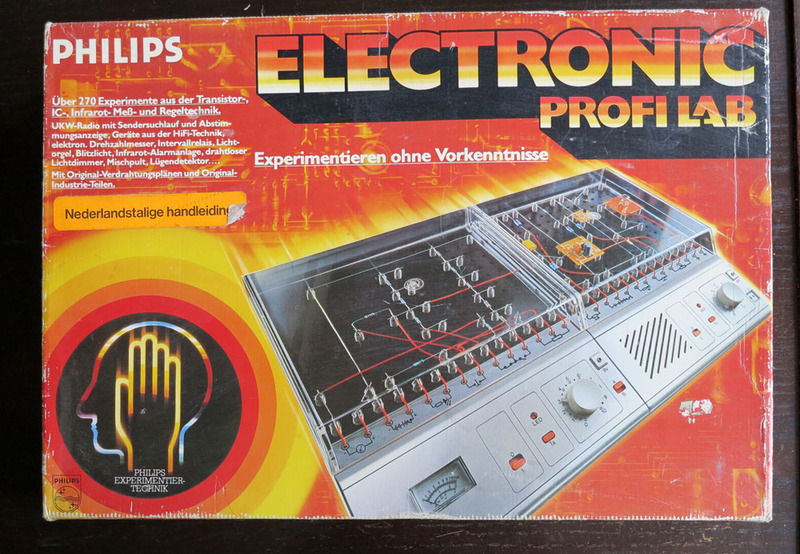 Do not expect a real oscilloscope, it is quite limited in frequencies it can show. But the educational value is good, to see the electronic signals is great.